Over the last few days, I've shared a little from my experience about how God uses relationships to mold us. Today I thought it might be helpful to consider how He uses times of transition to do His work in us. In Sunday school, (by the way, City Reformed folks, if you are not attending this Sunday School class, you need to be), our pastor has been talking about how when we live under self-rule, we're in essence wanting full independence from God. But when we begin the life of faith, we move into full dependence on God. Times of transition can be used by God to deepen our faith as the comforts of the familiar are diminished or removed and we're forced into fuller dependence on Him. Think of the many natural changes we might experience in this life: marriage, a child, new job, moving to a new city, starting or graduating from college. Sometimes we're rolling along and things are going "according to plan" and we're excited by the change. Other times the move comes too suddenly, the job's more or less than expected, or our dreams are not as fulfilled as we anticipated, and we despise the change. Change is hard, even when it's one you're looking forward to. 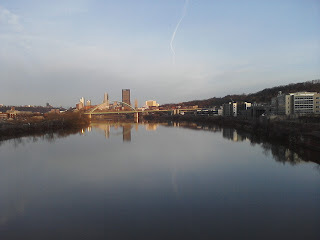 A year ago June, we moved back to Pittsburgh after 7-3/4 years in Cambridge, MA. When we moved to Cambridge, we were in a time of LOTS of transition: freshly out of college, newly married, two new jobs, and a new city. But we were young and fancy free, so all the change was rather exciting! Leaving Cambridge felt less natural. I'd put down a lot of roots there, loved the people where we lived and at church, both our babies were born there, had my roles and places in my groups, and Cambridge and Boston are really fun cities to live in. At the same time, we were coming "home." 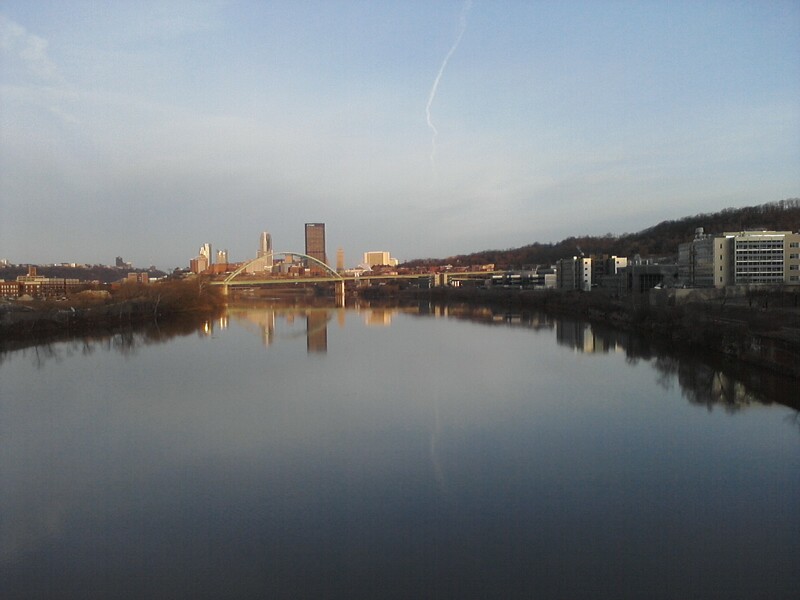 I grew up in Pittsburgh, Colin moved here for middle and high school, we both went to college in Pittsburgh, and both of our families still live here. It was almost like living the dream, returning to a place you'd long called home, familiar streets, taking the kids to places I loved growing up, and so on. Talk about a bitter-sweet transition! What has been most interesting to me, however, is what transition does to one's identity. Having been in Cambridge for a while, I knew who I was there. I'd developed a sense of self and my role where we lived and at church. But I think God knew I was getting a little too comfortable. I was losing a little of my welcoming edge and sliding into sticking with people with whom I was comfortable. Maybe that's partially because I knew we were moving soon, but either way, it really was time for the boat to be rocked. So we moved. And I'm so very glad to be here, despite the somewhat frequent desire to hop on a plane for a quick visit to Beantown - mostly for the people with whom I'd love to sit, chat, and drink coffee. Transition is hard, because when we're new in a new place, we're not known. But the God who is there knows us and draws near to us both to cheer and to guide. Taking me away from my comfort zones and dropping me into new relationships, a new neighborhood, and new church has required that I wrestle a with and confess my selfish insecurities. But it has also forced me to think about the ways God has gifted me and the importance of sharing those gifts within the church and with my neighbors. Just because I don't have my cozy blanket of familiarity to huddle down in, does not excuse me from serving God where I am with what He's given me. Transition does not excuse any of us from loving God and loving our neighbor. How quickly we can slip into our natural self-absorption and use the time of change as an excuse to check-out for a while. I've wanted to do that, to wait for people to come to me, welcome me, make me feel loved. But I am loved. My identity is in Christ. I can initiate friendship, be the welcomer, love God by loving others RIGHT NOW. You can, too. Not only do you need the church, but the church needs you, fellow body part, to be the best ear, nose, eye, or mouth you can be! There's always more in each of us that needs to die. But believe it or not, it's good news, because there's a Savior there giving life, breathing newness into old dead places, carrying light into the dark, dismal corners of our hearts, cultivating His good fruit where only weeds used to grow. Times of transition can bring into focus new places for growth and change in our hearts so we may abandon the clamour of self-will and become more ourselves than ever. If you find yourself in the midst of a transition right now, how are you? Do you see how God is at work in you? Let Him know how you're really feeling about the situation, be comforted by His love and faithfulness, ask Him where you need to repent and believe, ask him for the things you need (He knows before we ask, remember! ), and give Him thanks that He has not abandoned you. I pray that He'll amaze you with His goodness to carry you through and bless you with all you need to trust Him more. This is Part 25 of a month-long series you can learn more about by starting with Day 1 here. There are many others doing super cool series this month as well, perhaps you'd like to see the list?